Alysn wound up with an extra copy of each when she received the Search Press composite book of four previously released quilling titles, Beautiful Quilling Step By Step, which includes Quilled Wild Flowers by Janet Wilson, and Quilled Borders and Motifs by Judy Cardinal, in addition to Quilled Miniatures and Three-Dimensional Quilling. Alysn compared the composite with the books she already owned, and determined that with the exception of the table of contents being moved to the very front of the books, and the removal of the images on the end pages and the covers, the content is identical to the originals. (I tell you all this in case you've been thinking of ordering the composite, but have wondered if you'll miss out on something important - you won't.) Thus she's happy to clear some shelf space by giving away her duplicates, which are in fine condition. The giveaway is open to anyone with a U.S. mailing address, and the rules are simple... to enter just leave a comment. Giveaway ends at the end of Saturday, July 23. The winner will be chosen by random.org and announced on this post and Facebook the next day. Good luck! Disclosure: As always, book titles are affiliate links. 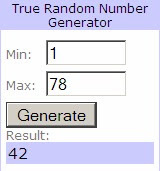 Update: Congratulations to Leanne, commenter #42, as selected by Random.org. Leanne, Alysn will be sending off the books as soon as you email me your mailing address. Many thanks to all who took the time to enter! Beautiful 3Ds! I would love to have these! Love Quilling and I love books, so to get picked to win one of these great books would be the best of both my worlds! Thanks! Thank you both! 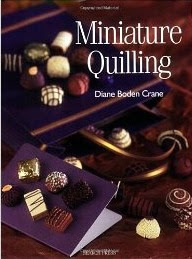 These are great books...I keep threatening to try quilling! Whoo Hoo! That would be awesome. I taught myself to quill by reading books. Send them to me, please. My granddaughters and I are new to quilling and would love to win these books! Thanks so much for the opportunity! I am very interested in learning this craft. It seems like a fun relaxing way to spend an afternoon creating away from the computer. 3D quilling looks amazing. I'd love to try it! I have been quilling for several years and am now teaching it at one of my local scrapbook stores. The books look like they would be fun to play with. Thanks for the giveaway! Quilling in 3D is something that I haven't tried but would like to try. what fun! I quilled like crazy in the 80s.Just picking it up again and I'd love to have these books. What a cool offer. I would love to win these books. These look great! I would love to try 3D quilling. I just started quilling a few months ago so these would be soooo helpful! Wow... look at these fabulous books. What a fun Low Calorie gift the candy would be. Thanks for the chance to win. My daughter and I started quilling last year and have been having a lot of fun doing it. The 3d projects look like fun. Thanks for the opportunity to get these books. I don't have any quilling books yet and would love to explore quilling more with these! Thanks for the chance to win and the great thought of passing along duplicates by giving them away. I don't live in the US!! :( so so so sad!!!!!!!! I'm new to quilling and reading everything I can get my hands on. I would love to have these books to learn from. Thanks for the chance to win! Those are beautiful! A few of them are on my wish list. I'm keeping my fingers crossed that this is my lucky day! I started quilling not to long ago, and would love the chance to win some books to help me do it better! Thanks for the chance to win! It's very generous of Alysn to offer her books as a giveaway and including the book comparisons is a real cost and timesaver. Wow I really hope the random chooser will pick me! Now how will you contact me if I win? My email address is madisonrussell@gmail.com so you can contact me that way. Winning these books would be incredible. They look like they would offer some fun new things for me to try. Wow. I'd love to win this one. I've taught myself some quilling and I'm working to translate it to cake decorating, my profession. Hope I win! Sign me up to would love ot win one of those lovely books. What fun it would be to win one of these books. I teach quilling and my class would love either book. I learned to quill from a Jane Jenkins book. These books love so gorgeous...for a starter like it would be wonderful to own them..
thanks both of you for a chance to win ! I learned to quill back in 1981 at a women's retreat. I loved it and kept on quilling for 10 years--selling things at a local consignment shop and/or giving them away. I had to give it up for some time due to my job, but after retiring I am once again quilling. I've been using the books from Jane Jenkins and several other authors. I recently purchased a fringer and like to make dimensional projects, but I've never tried the miniatures. I'd like to learn them--something new. Currently I'm only able to get books at the local library. it looks perfect! paper artist are so open and giving! Would I love a new quilling book???? You bet!!!! Quilling is a beautiful craft. Though I dont do it as often as I would like, anything I have ever created is given to a person that shows as much love that I have put into it and for the art. I love making things and giving them away. I would love to be able to learn 3D quilling and start making some new and different pieces. Thank you for doing this, what a great idea. Oh how wonderful! Quilling has given me so much pleasure. The longer I quill the more I realize that is so much more I want to learn about this art. I will be 70soon and completely enjoying this time of my life. These books will surely help make me more confident at quilling. Thanks to Alysn & you too Ann. Thank goodness I have a US mailing address. I am learning to love quilling and need to know more. Would love to win. I love your website and all the different things you show. These are fantastic! Thanks for the opportunity to have a great book to learn from! What a thoughtful thing to do....I thank you for the chance to win one of the books! These books sound awesome!! I would absolutely love to receive these books!!! Thank you for the opportunity! I just started quilling last fall. These books would be a great addition to my collection. Oh! This would be a fun way to improve my quilling skills! I rush to my mail to look for ALL THINGS PAPER daily. I get so much joy and inspiration from your newsletters. Thank you for your dedication to this craft. I have tried 3D quilling before, but the pictures of the books show that it is really fun to make 3D stuff out of quilling, thanks for the chance to win. I would be thrilled to win a quilling book. I have purchased a few supplies at Hobby Lobby years ago just because... but I've never had a quilling book. I can't wait to try my hands with them. I would love to win one of these books. I used to do quilling, and would love to start again! I've yet to try 3D quilling. I'd be really excited to add to my collection of quilling cards on Flickr. 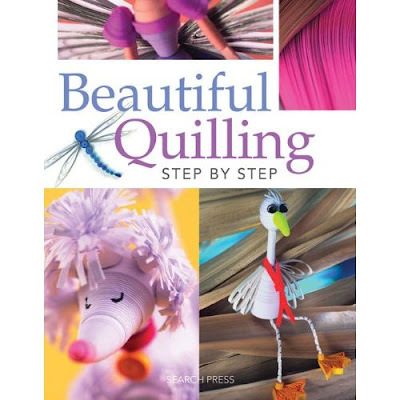 Quilling is something I am wanting to get into, and these books would be perfect! I would love to win one of these great books! just loved your work..every project is done with so much love and care...i could feel it..
Lovely books. Hope to be selected. Some friends and I took a quilling class at our local Paper Zone store taught by a woman of such talent it was truly awesome. She offered some of her quilling artwork at a local gift store and was told it belonged in an art gallery. Thank you for providing the tutorials and inspiration. Absolutly love quilling and so glad that you keep this paper craft in view for everyone to see. The books look great and I bet are even greater inside. What a wonderful giveaway! Thanks, Alyson and Anne! I'm in! I would love to see newer techniques like those highlighted in these books. Inspiration is a "good thing!" I've just discovered quilling and would love to learn how! What an interesting set of books. Miniature quilts, wow. Ive read about inchy quilts and cant imagine the difficulty. I suppose it would be fun to try! Thanks so much! I just took my first quilting class, bought a ton of fabric and now all I need is some good quilting books to get me in motion. I am totally hooked. I am green with longing, dying to have a look at your quilting book give away. Pick me! What a generous giveaway! I would love to own these books. These are great. I would love to have them for some of my projects! I have been into quilling since last two years .I got the idea from internet.It initially started as a pasttime while I used to be alone at home as my husband went to office.since then it has been one of the favourites and internet has been the primary source of inspiration.These books sound awesome!! I would absolutely love to receive these books!!! Thank you for the opportunity! Oh, golly - would love to be a recipient of a book!!! My daughter has hooked me on this blog - and I will reward her by passing on this impending win! 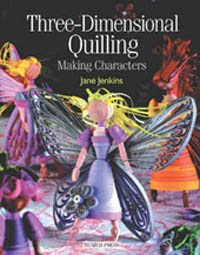 I admire quilling but never quite knew where to start, would love to win these books! How generous to give these wonderful books away. Giveaway comments are closed. Thanks for entering, everyone - it's great to see so much enthusiasm for quilling. Congratulations Leanne! I look forward to getting these out to you and I hope you enjoy creating from them.